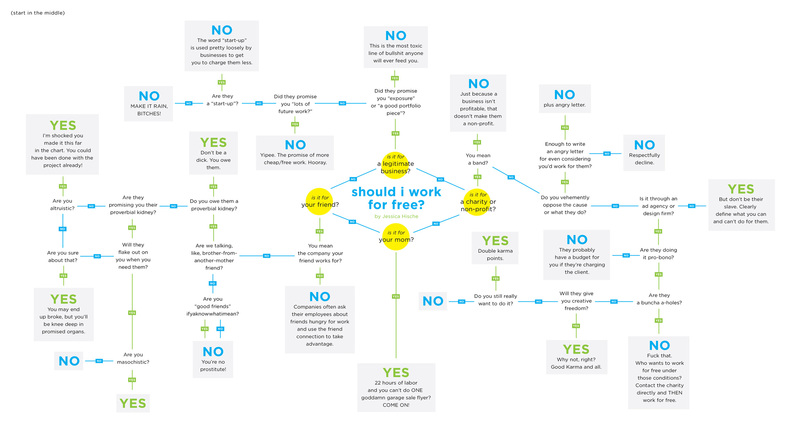 As a designer, whatever your level of expertise, you will be asked to do free work. Now, while you may be tempted to say yes depending on the persons who are asking you to do it. This image will help you by making the decision making process that much easier.